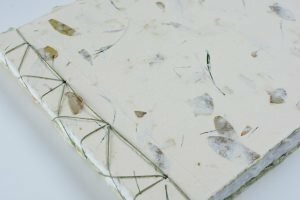 I’m making progress on my 50 Book Project – here’s book number 44 – the end is in sight…. This is Waterfall stitch from the second volume Keith Smith’s Non-Adhesive Bindings. 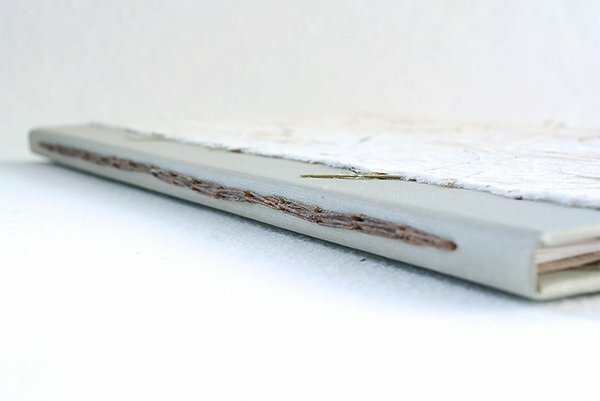 It’s a two signature binding that’s sewn through a single row of stitching holes. 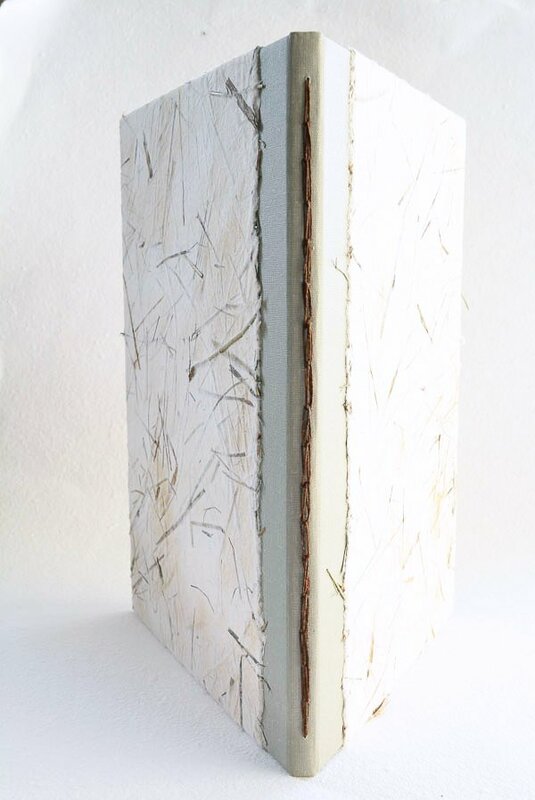 The book board is covered with handmade paper embedded with straw and it’s paired with a beige book cloth. 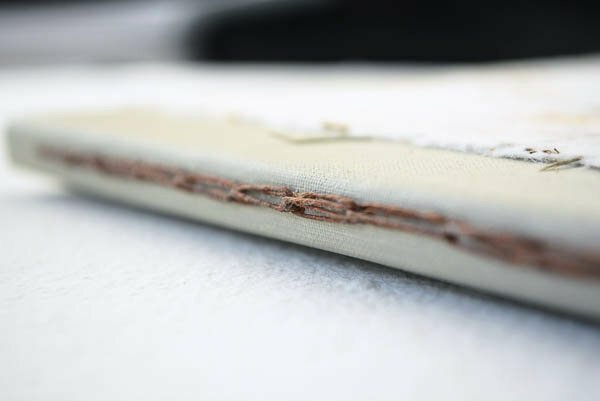 It’s a long narrow book measuring 6″ x 9″, which shows off the stitch, which is similar to the single signature Sewn Chain binding. To see the rest of the books in this series, check out my 50 Book Project page.